They must have a Drill sergeant on permanent staff at Chichester this season. 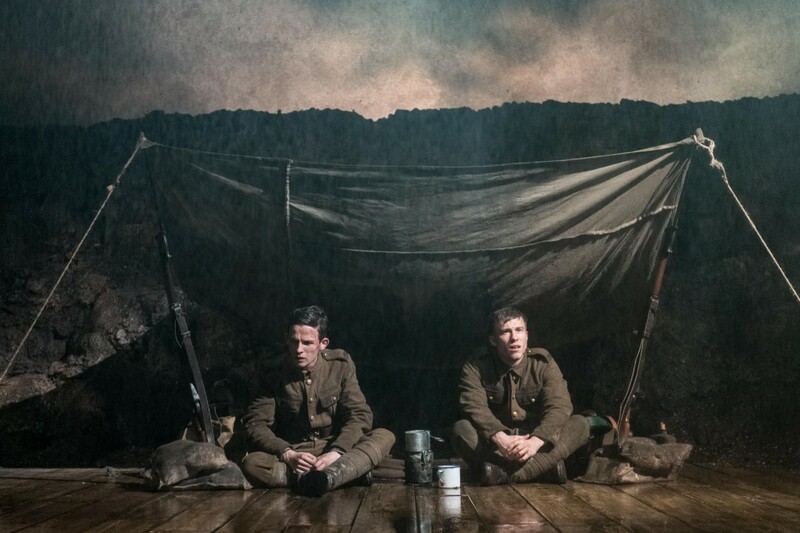 After much fine regimentation in their previous production, `Ross’, Mark Hayhurst’s revisitation of World War One in First Light again requires – and gets – some of the finest drill that wouldn’t look out of place on Horse Guards Parade. Hard to know where to start with the superlatives. Hayhurst wrote the gut-wrenching Taken at Midnight (Chichester 2014), the story of Hans Litten, the lawyer who dared to call Hitler to court in 1931 and was subsequently murdered in Dachau. Hayhurst now follows this up with an equally withering episode from WW1 – the execution at dawn of two real life Somme `deserters’ and the battle by the father of one, Private Albert – `Bert’ – Ingham – to have him honoured in suitable style on his gravestone in the cemetery at Thiepval. This year also marks the centenary of the Battle of the Somme, July, 1916. That a `deserter’s’ death should be so honoured was in itself, at the time, considered unthinkable. Only recently have `deserters’ been posthumously pardoned. Like Hans Litten’s mother in Taken at Midnight, so Bert’s Dad, George, is fierce as a lion in his love for his son. 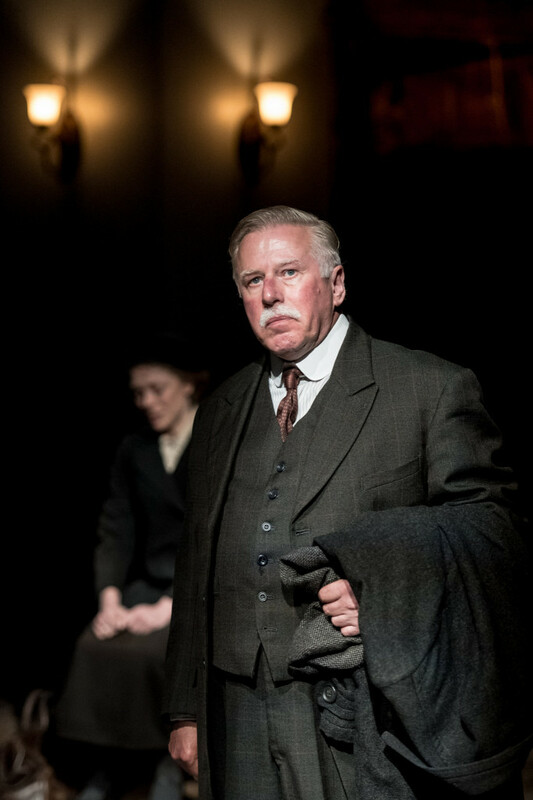 A play of enormous compassion (even the Army are allowed their say), Hayhurst takes us back and forth between trench and Bert’s solid Manchester working-class home. At the front, the dialogue is sharp, funny, idiomatic, at home stoic and a family – mother, schoolteacher daughter, and illiterate Dad – increasingly broken by the news of their son’s apparent death in action before later learning the dreadful truth from a comrade. 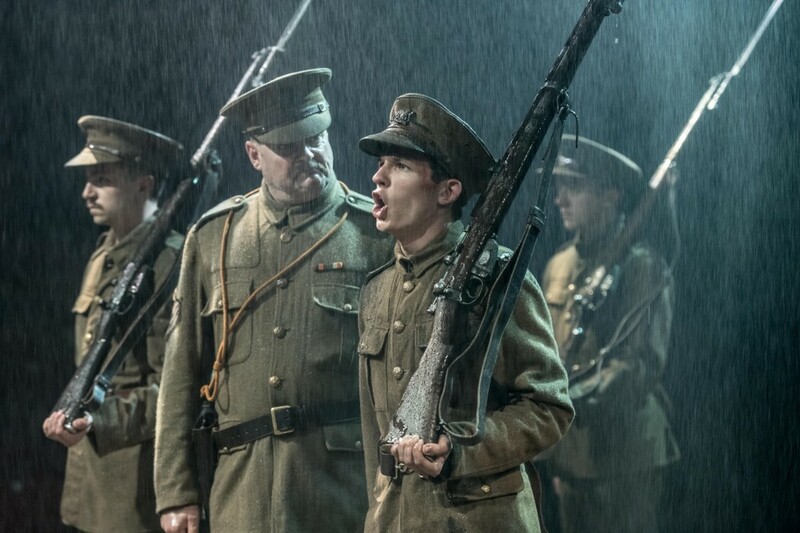 A searing critique as well as testimony to love and loyalty, Hayhurst’s fictionalised drama is given stunning impact by director Jonathan Munby with scene changes delivered by drilling soldiers accompanied by solemn drum rolls. In an outstanding cast, David Moorst as Bert’s lippy, class-conscious friend Alfred Longshaw encompasses the rebellious vitality and despair of youth trying to avoid extinction whilst Tom Gill’s quieter, dependable Bert is heartbreaking. 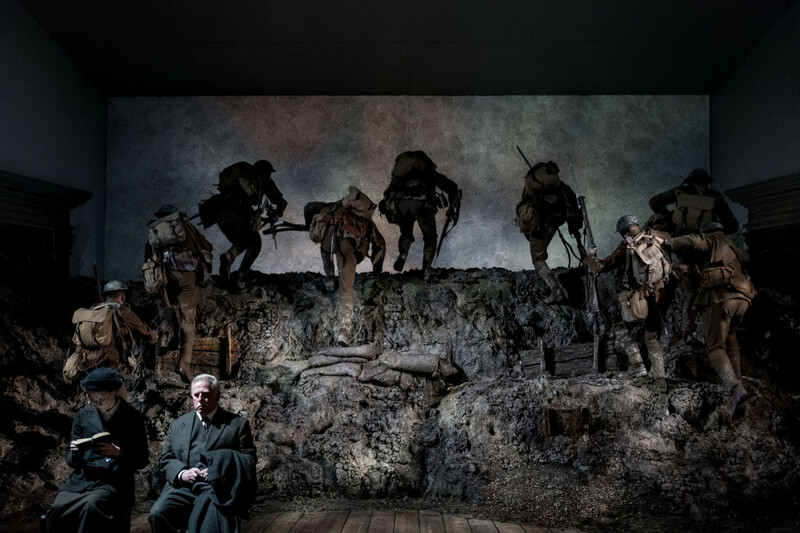 Add Phil Davis, Amelda Brown and Kelly Price as his family, Andrew Woodall bringing the whole of British military intransigency on stage in his clipped moustache and shiny leather boots and a platoon drilled to within an inch of their lives and you get a five star, deeply moving triumph. Review first published in Reviewsgate, June 2016 and slightly amended here. This entry was posted in 2016, Reviews and tagged Amelda Brown, Andrew Woodall, David Moorst, deserters, Hans Litten, Jonathan Munby, Mark Hayhurst, Minerva Theatre, Phil Davis, Tom Gill, WW1 war graves on June 21, 2016 by Carole Woddis.